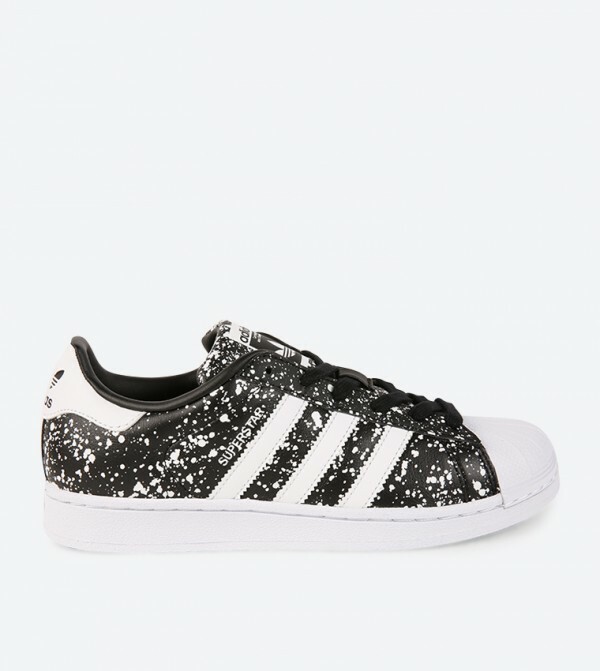 The trendsetting splash graphic prints of this pair of Superstar black colored Sneakers from Adidas Originals keep its attitude strictly modern. Featuring leather upper with 3 Stripes on sides, these Sneakers have mesh lining and rubber sole for added comfort and firm grip. Finished with a shell toe, a lace up closure and herringbone patterned cupsole, this pair of Sneakers also has its signature Trefoil logo branding on the tongue and patch heel.